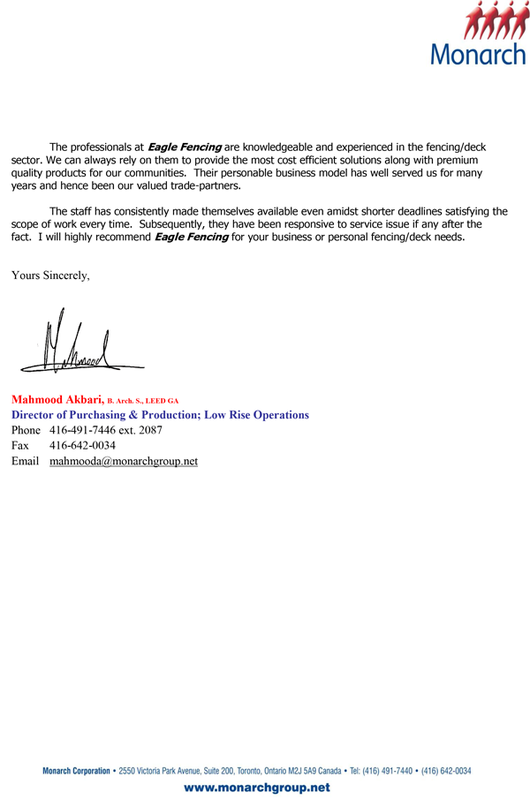 Welcome to Eagle Fencing Services Toronto and thank you for taking the time to visit our website. Throughout your visit, you will find all the information necessary to educate yourself on who we are, the work we have done on decks, commercial and residential fencing in Toronto, our workmanship and quality guarantee, and finally, what style of wood fencing you would like to receive a quote on. 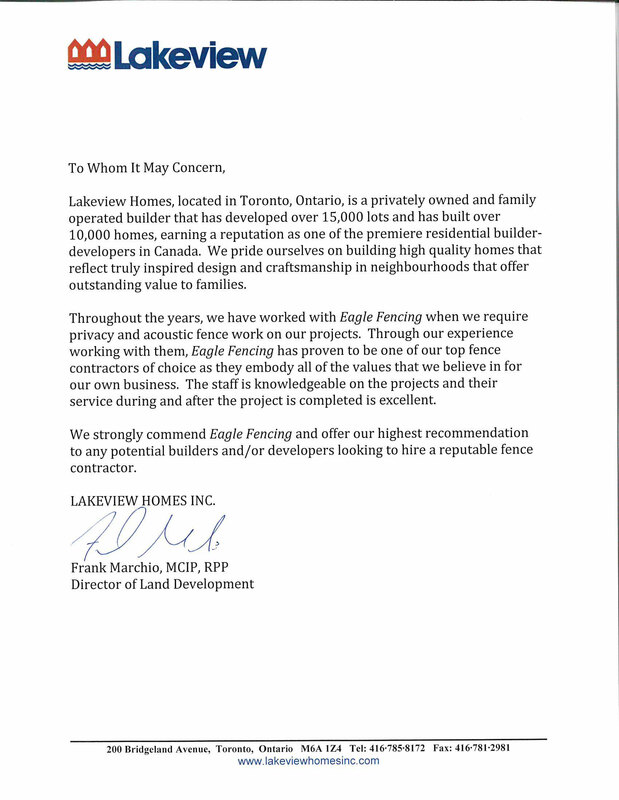 To tell you a little bit about us, we have been in business for 18 years and are incredibly proud of the service that we have to offer as a leading fence company Toronto. To the left you will find testimonials from many of our clients in the commercial sector where quality craftsmanship is of the utmost importance, and how we have exceeded the expectation that they have put forth. As you survey our website, please take the time to see who we are as a team and explore our history to see our progression as people and as a business. 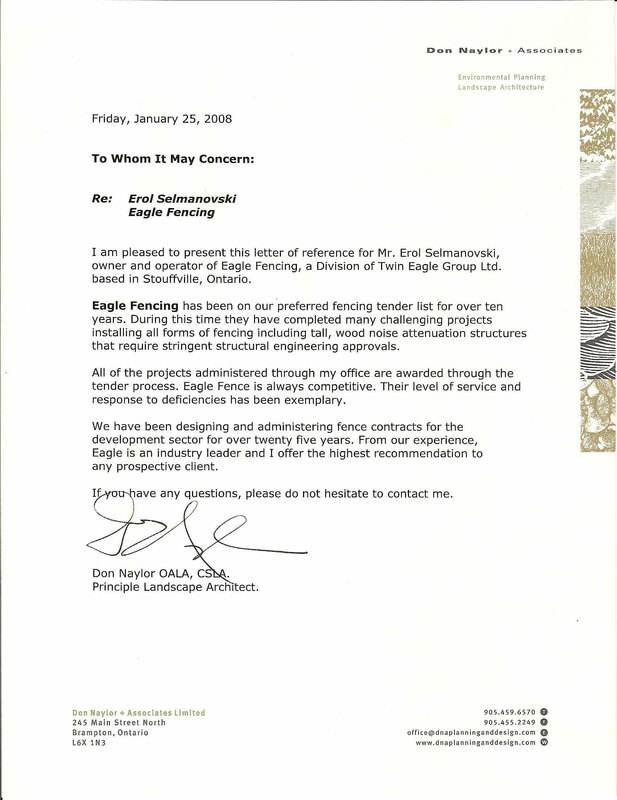 Lastly, we would like to thank you for considering Eagle Fencing for your residential, garden fence and deck construction needs and we look forward to hearing from you shortly.